(Minneapolis: Bethany House Publishers, 1984, cloth, 315 pages). One of the first books written in response to The Fire That Consumes after its appearance in 1982 was this volume by Robert A. Morey. The author of several books, Morey self-identifies as an apologist for orthodox Christianity and an exposer of cultic and non-Christian religions. Morey’s zeal is beyond question, although his research and reasoning are not, as pointed out in the review that follows. As used here, a “conditionalist” is a person who holds that, because only God is inherently immortal (deathless), human immortality is “conditional” and will be God’s gift to the redeemed in the resurrection. Although the wicked will be raised for judgment, they will not be made immortal. Instead they will be sentenced to hell where they will die, perish and be destroyed entirely and forever in the “second death.” I am a conditionalist. As used here, a “traditionalist” is one who believes that the lost either are now, or will later become, immortal (deathless) beings, and that in hell they will never die but will suffer everlasting conscious torment. This has been the majority tradition within the Christian church since at least the time of Augustine in the fourth century, so its adherents are called “traditionalists.” Morey is a traditionalist. Traditionalism’s double argumentTraditionalists offer two primary reasons for their belief that the wicked will suffer conscious pain forever. One reason is theological; the other is historical. The theological argument involves the nature of man and takes two forms, one ancient and one modern. The ancient form concerned the nature of the human soul. The modern form concerns the resurrection of the human body. In the third and fourth centuries, traditionalists, generally converted philosophers, argued that the wicked are indestructible because that is the nature of the soul. Yet they disagreed with their pagan fellows in this respect. Whereas some Platonists held that the soul existed from eternity past and was inherently immortal, these Christian philosophers insisted that God created even the immortal soul. They admitted that God could also destroy it if he so decided. But when they discussed the final fate of the wicked, men like Tertullian seemed to forget that they had made that concession. Hell’s fire cannot consume the soul, Tertullian reasoned, because souls are immortal and cannot be destroyed. On that basis, Tertullian concluded that Jesus’ warning that God is able to destroy both body and soul in hell (Matt. 10:28) really means that the soul will never be destroyed but will suffer unutterable torments forever. Most traditionalists today reason from another basis. Immortality is not inherent to the soul, they now point out, but is an attribute bestowed at the resurrection of the dead. Morey (p. 94) agrees with me that the soul is God’s creation and does not exist of itself. He also agrees that immortality is a gift to be opened at the resurrection. When the New Testament uses the words “immortal” and “incorruptible,” Morey points out, “it is obvious” that it is describing “attributes of the resurrection body” and not “the condition of man’s soul after death” (p. 95). In fact, he notes, the phrase “immortality of the soul” is “never found in Scripture,” because its authors wished to avoid “the pagan connotations” that term sometimes implies (p. 95). But Morey admits even more. The words “immortal” and “incorruptible” describe the resurrection bodies of the “resurrected saints” [emphasis added], he says (p. 59). These adjectives tell us that the redeemed will exist forever and will enjoy life without “degeneration” in a body “incapable of death” (p. 59). Here conditionalists practically stand to applaud. That is precisely the point, they say. “Immortal” and “incorruptible” describe the resurrection bodies of the saved. But where does Scripture ever hint, even once, that the wicked will also be raised immortal or incorruptible? And if it does not, why should anyone suppose that the wicked will exist forever? And, unless we must accept that supposition, why should we not take at face value Scripture’s repeated warnings that those who go to hell will finally perish, die, corrupt and be destroyed? Is this not the very contrast the Bible intends to draw? Historical: “the Jewish view” in Jesus’ day. The traditionalist’s second major argument is historical. Morey and other traditionalists argue that during the time between the Testaments the idea of hell as a place of everlasting conscious torment developed from Old Testament roots. The traditionalist also says that by the time of Jesus the notion of unending torment was “the accepted Jewish view.” Since Jesus did not expressly reject this perception, traditionalists argue, he gave it his implicit endorsement. Time was when traditionalists could be excused for holding this opinion. Did not Alfred Edersheim, the great ninteenth century Christian scholar of Judaica, say this was the ancient state of affairs? And did not Josephus, the Jewish apologist and Paul’s contemporary, report that Pharisees and Essenes alike held to what we have called the traditionalist view? What more need be said? At least this. Our own century has seen a great increase in the number of primary sources which shed light on this subject. The Dead Sea Scrolls, for example, make it absolutely plain that the Jewish community at Qumran, probably Essene in character, held strictly to the belief that the wicked would finally become extinct — no matter what Edersheim thought in the nineteenth century, or Josephus, for that matter, in the first century. The Apocrypha and Pseudepigrapha also demonstrate clearly the great diversity of Jewish opinion at the time Jesus walked the paths of Palestine. We must not fault men like Edersheim in this regard. He did the best he could with materials he had. However, it is a different matter for an author today to echo Edersheim’s opinions as if we know no more about first-century Judaism than our forebears did a century ago. Unfortunately, Morey falls headlong into this error (pp. 89, 119, 126-127). Interestingly, Edersheim’s testimony also proves a diversity of Jewish belief, though Morey repeatedly says that Edersheim proves that eternal torment was “the” Jewish view at the time of Christ. In the very quotation from Edersheim which Morey includes as an appendix to his book, we learn that both Shammai and Hillel taught that some would go down to Gehenna to stay, while others would go down but come up again (p. 268). And Rabbi Jochanan ben Zakkai, we learn, was so uncertain about the wicked’s final fate in hell that he didn’t know whether God would bind them with eternal fetters, be angry with an eternal wrath, or kill with an eternal death (p. 269). Is this traditionalism’s highest authority for a uniform first-century Jewish view? The strongest argument for conditionalismConditionalists like to make their points by simply lining up in long rows the very words and expressions Old and New Testament writers use to describe the final end of the lost. Traditionalists admit that they are hard pressed to find their view in the Old Testament. The conditionalist’s expedition into the Old Testament, however, proves more fruitful. The Old Testament uses more than 70 different Hebrew words or phrases to depict the fate of the wicked, they note, and not one of them sounds anything like everlasting conscious torment. Froom lists these terms in his massive work, The Conditionalist Faith of our Fathers, as I do in part in The Fire that Consumes. I also chide Froom for some over-zealous picking of proof texts, though Morey erroneously charges that conditionalists since Froom have simply repeated his claims, carelessly citing my work as an example. As to terms and figures found in the Gospels — “Gehenna,” the “undying worm,” “unquenchable fire,” “weeping and grinding of teeth” — the conditionalist urges us to observe how these same expressions are commonly used in the Old Testament. We will be absolutely amazed, he tells us, to see how these terms there all indicate divine punishment by destruction which is irresistible, complete and irreversible. The conditionalist points out that New Testament writers are free to enlarge or even change the Old Testament meaning of these terms if they wish. But he cannot understand the regular traditionalist practice of simply ignoring all the Old Testament occurrences of these expressions, or of defining them instead by uninspired Jewish literature or even by the writings of pagans. Conditionalists also list the major terms the Apostle Paul uses to describe the end of the wicked, and offer them as prima facie evidence which supports their view. Words like “die,” “perish,” “corrupt,” “consume” and “destroy” seem clearly to say what the conditionalist wishes to convey. He does not claim that these words are always used literally. He does point out that figurative or metaphorical language has significance only in relation to a word’s plain meaning, from which the non-literal usage draws its content and power. The conditionalist is confident that the ordinary person on the street can tell what the biblical words mean on their face. Scripture was not written by scientists, the conditionalist notes, or in some technical or mystical language, but in the everyday language of the common citizen of its day. One would never suspect it from Morey’s book, but these very words Paul uses were part of the regular first-century Greek conversation about a person’s future after death. Some, who argued that every soul will live forever, denied that any soul will ever “die,” “perish,” “corrupt” or be “destroyed.” Others, who argued that no person will live forever, affirmed that all persons “die,” “perish,” “corrupt” and are “destroyed” forever at the point of physical death. New Testament writers disagree with both groups of pagans. Instead, they affirm, those who are redeemed by Christ will never “perish,” “die,” “corrupt” or be “destroyed.” On the other hand, Paul warns that those who reject God’s grace throughout their lives will certainly “die,” “perish,” “corrupt” and be “destroyed” forever in the fires of hell, following the resurrection and final judgment. Whether we think of first-century Greek or twenty-first century English, therefore, the “plain meaning” of the Bible’s words fits the conditionalist’s viewpoint and contradicts the traditionalist’s opinion. The traditionalist’s responseTraditionalists protest vigorously to all this. We must understand, they tell us, that words like “die,” “perish,” “destroy,” and “consume” — when used of the wicked — all mean something entirely different from what we might suspect. After all, does not science tell us that nothing is ever actually annihilated but only changes form? What the traditionalist does not tell us is that the same “law of thermodynamics” which says nothing is annihilated also says nothing is ever created. Christians affirm that God created all that exists — mankind included — and that God is able to destroy both body and soul in hell (Matt. 10:28). This traditionalist argument is also silly. Does anyone really imagine that the family of a martyr about to die at the stake would find comfort in the explanation that their loved one will not perish but only change form from flesh and blood to smoke and ashes? For several pages of his first chapter, Morey eloquently calls for the “plain meaning” of biblical words (pp. 20-22). He then spends the rest of the book explaining why these words all really mean something exactly opposite their “plain meaning” in the minds of ordinary men and women of every age and land. Unique weaknesses of Morey’s bookBesides repeating the ordinary, inherent weaknesses of the traditionalist position, Morey’s book contains numerous unique errors of its own of which the following are typical. Libelous personal judgments. Morey charges that conditionalists are people seeking to “silence their conscience,” “justify their wicked lives” and “defend their evil ways” (p. 157). He says they are capitulating to “liberalism” and a “weak view of Scripture” (p. 203). The truth is that conditionalists are frequently so thoroughly devoted to Scripture that they are willing to resist a majority opinion against overwhelming odds because they feel that loyalty to the Bible demands it. A “high view of Scripture” is demonstrated far better by one’s faithful use of it than by bold but bare claims which are easily made. Outright falsehood. Morey’s account of the origin, purpose and subsequent history of Verdict Publications (which first published The Fire that Consumes and which sponsored my research which ultimately led to its writing) is a complete fabrication. He calls it a “covert Adventist operation” which moved to America from Australia to hide its true intent, then, for the same purpose, changed its paper’s name (pp. 202-203). The truth is that Robert Brinsmead, a wealthy Australian lay theologian and former Seventh-day Adventist minister, began Verdict Publications for the purpose of propagating Reformation principles of justification by grace through faith within the Seventh-day Adventist community, without regard for traditional SDA doctrines. Its influence spread because of its solid offerings, and it became popular in denominations around the world. The magazine was first named “Present Truth” because that had been the name of a pioneer SDA journal, and the publishers wished to make the point that the “present truth” for today (2 Pet. 1:12) is justification through trust in Christ’s work alone and not reliance on Ellen G. White or novel interpretation of prophecy related to 1844. The name was later changed to “Verdict” because people confused the former name with Herbert W. Armstrong’s periodical of a similar title. My point in telling this is not merely to vindicate Verdict Publications, but to emphasize that readers need to be very slow in accepting an evil report concerning anyone, especially when the slander is communicated to discredit one with whom the author is taking issue. Morey misleads his reader by misusing legitimate, authoritive sources, appealing to sources that are not authoritative, and in general by following human wisdom and mistaken majorities. Following the majority or human wisdom. Morey cites “the best of human minds” and “the best of the human race” who always have believed in the immortality of the soul, with emphasis on “philosophers from Socrates to the present” (pp. 67-68). We should instead remember Paul’s warnings against pagan philosophical notions which are contrary to the resurrection faith, as well as Jesus’ words about following the crowd down its broad road away from him and his teaching. Mishandling primary sources. Morey’s treatment of the intertestamental literature involves this error at almost every juncture. A few examples illustrate the point. He cites Ecclesiasticus 7:16-17 as proof that the author accepted his traditionalist view of hell. However, Morey fails to mention that “fire and worms” in this text were “decay” in the original Hebrew, that the author’s grandson changed it to “fire and worms” in the Greek edition to suit a later doctrine, and that at least three other passages in Ecclesiasticus sound exactly like total destruction. Morey claims that my book took Wisdom of Solomon 2:1-12 out of context and misused it. The truth is that I didn’t even mention the passage. The page he cites in my book does give nine other quotes from Wisdom of Solomon disagreeable to Morey’s position and which he totally ignores. He declares that conditionalists do not mention passages in 4 Maccabees because they teach the traditional doctrine. In fact, I cite these texts precisely as proof that the traditional view does appear in some pseudepigraphal literature. Morey quotes 2 Baruch’s expectation that the wicked will be “tormented yet more” in “the last time” to come. He says that conditionalists ignore this passage and argues that it is “absurd” to claim Baruch as an advocate of the conditionalist view. The truth is that I cite the same passage he does and note that it doesn’t say whether the torment will ever end or not. I then give six other passages from Baruch which traditionalists claim plus 12 others which anticipate total extinction. Morey’s book devotes nine lines to the Book of Jubilees, from which he cites two passages and says I claim that Jubilees teaches the wicked will cease to exist. My book devotes more than 165 lines to Jubilees, cites 11 passages from it, and points out plainly that this book offers an inconsistent testimony on this disputed subject. Concerning a passage found in The Assumption of Moses which says (in the English translation of R.H. Charles) that the wicked will be in “Ge[henna],” Morey comments: “That ‘Ge’ is an abbreviation for Gehenna is no longer questioned.” In fact, as my book points out, Charles comments in a footnote to his English translation that his original text has terram for the Greek Ge (“earth”), but that rather than have the wicked on “earth,” he adds letters to change the word to “Ge[henna].” Even if the text should read “Gehenna,” it would still not say anything about the duration of suffering of those who go there, a point on which the intertestamental literature clearly is not of one mind. Fallacies in reasoning from the evidence. Morey’s book is packed with fallacious reasoning of almost every classical sort. Erecting a “straw man” and knocking it down. Morey’s book is replete with this deceptive tactic. He falsely charges, for example, that conditionalists admit no degree of punishment (p. 154); deny that aion (“eternal”) has any sense of endlessness (p. 129); deny that the traditionalist view appears in the Pseudepigrapha (p. 123); have no emotional problem with the thought of extinction (p. 101); teach that the wicked pass into non-existence at death (p. 87); say that Sheol means the physical grave (p. 75); deny an afterlife (pp. 67-68); think Socrates and Plato didn’t teach the survival of the soul after physical death (p. 56); assign one rigid meaning to “soul” throughout the Bible (pp. 49-50); refuse to allow the New Testament to give new meaning to Old Testament words (p. 23); teach that no one has “everlasting” life now (p. 27); and dismiss Luke 16:19-31 as “nothing” (p. 30). Not only do these twelve allegations result solely from Morey’s own overly-zealous imagination, many conditionalist books (including The Fire that Consumes) devote far more space to refuting these very errors than Morey’s book does. Conclusions without evidence. A prime example of this fallacy is Morey’s statement that “once man dies, he . . . becomes a disembodied supradimensional energy being and is capable of thought and speech without the need of a body” (p. 79). This statement may express Morey’s opinion with clarity (and probably Plato’s and Socrates’ as well), but where does any such notion ever appear in the Word of God? If Morey’s opinion is correct, it thoroughly eliminates the need for a bodily resurrection since his “disembodied supradimensional energy being” gets along so well without a body and might even travel faster unencumbered by one! Non sequitur conclusions. Morey also draws conclusions which would not follow even if his evidence were true. He says that “the doctrine of the immortality of the soul remained a part of Western thought” after the Reformation, “even given the anti-Christian bias” of classical European philosophy. He implies that even anti-Christian public opinion could not uproot the doctrine of the immortality of the soul from Christian minds. The facts are that the doctrine of immortal souls has always depended far more on pagan philosophy than it has on Scripture, and that pagans, humanists and Christian “liberals” have taught that doctrine for centuries even while rejecting Scripture and the resurrection. A second example is Morey’s statement that the Septuagint, or Greek Old Testament, used psyche for nephesh because its translators believed in the immortality of the soul and this Greek word everywhere had that meaning (p. 50). The truth is that the same Greek word was used by Greeks who believed the soul died with the body and also by those who believed it lived forever and always had. The Septuagint’s translators choice of psyche therefore proves nothing about their belief concerning the soul’s immortality. Even if it did, it might only mean they were importing into their Greek Old Testament a concept never found in the original Hebrew. Refuting a point by agreeing with it. Morey complains that conditionalists use biblical expressions like “eternal judgment” and “eternal redemption” to show that “eternal” sometimes describes the end result of an activity and not the process or act itself. Morey explains these very expressions exactly as do the conditionalists he opposes. “Eternal judgment” and “eternal redemption” refer to the “permanent and irreversible” verdict and salvation awaiting the righteous, he says, in contrast to a “temporary” verdict or salvation. A word of credit to MoreyAlthough Morey’s book contains many historical, biblical and theological errors, it is not all bad. I therefore end this review by noting some of its points we may appreciate. Morey correctly insists that we take seriously the holiness, righteousness and justice of God, as well as God’s hatred of sin and the necessity of divine judgment (pp. 103-107). In an irreverent and secular world where anything goes, these points need to be repeated again and again. We applaud Morey for doing that. Morey also deserves credit for bravely noting that Jesus’ story of the Rich Man and Lazarus in Luke 16 is borrowed from a common rabbinical tale of the time, and that it should not be pressed into a literal preview of the world to come (pp. 30-31, 84-85). He also is correct that Scripture portrays the body as intrinsically good, not as a prison of the soul (pp. 43, 94-95), and that in the Bible “soul” and “spirit” do not refer to “separate entities” in man but rather describe the human being’s “multi-dimensional functions and relationships” (p. 44). 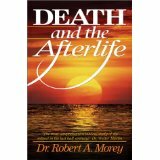 Morey is right on target when he affirms that “man is always and absolutely dependent upon the Creator for this life as well as for the next life,” and that “life in this world and in the next must always be viewed as a gift from God” (p. 94). He also states correctly that when Scripture uses the terms “immortal” or “incorruptible” of human beings, it always describes the resurrection body of the saved (p. 95). These two truths alone raise questions fatal to the traditionalist view Morey expounds, even as they provide a solid biblical framework for the case conditionalists wish to present. Finally, I commend Morey’s summary of the Bible’s teaching about the ultimate consequences of sin and of grace. “The curse of God for man’s disobedience is death,” he writes, “in contrast to God’s blessing of life. . . . Did not Moses . . . warn . . . ‘You shall surely perish’ . . . ? . . . Does not the New Testament teach that disobedience leads to death?” (p. 107). All we need to do now is to give these scriptural terms their “plain meaning,” as Morey urges so well in his opening pages, and the controversy will be over.